His Grace Jovan VI (Vraniškovski) is the Archbishop of Ohrid and Metropolitan of Skopje. He was born on February 28, 1966, in Bitola, Yugoslavia, and baptized as an Orthodox Christian named Zoran. He completed his primary school and mathematical high school in his native town, receiving many awards for achievements in the fields of science and sports. In 1985, after having served his military obligation in Sarajevo, he began studies at the Faculty of Civil Engineering in Skopje, graduating in 1990. Later in 1990, he enrolled the Faculty of Theology in Belgrade while working as a civil engineer with the Metropolitanate of Bitola. While employed by the metropolis, he established its library in collaboration with the local University Library of Bitola, while serving also as the new library's first librarian. During his two and half years in this position the young Zoran gave a series of lectures. In 1993, he left Bitola for Belgrade to continue his studies in theology, graduating in June 1995. Immediately, he began his master's studies at the Department of Systematic Theology (Dogmatics). At the end of 1995, he moved to Thessalonica in Greece to learn Greek and enroll for postgraduate studies. In Thessalonica, he worked on his doctorate and a dissertation entitled: The Unity of the Church and the Contemporary Ecclesiological Problem. On February 7, 1998, he took monastic vows, was tonsured a monk with the name Jovan (John), and was ordained a deacon. The following day, February 8, he was ordained to the priesthood, becoming a hieromonk. On July 19, 1998, Fr. John was consecrated a bishop with the title of Bishop of Dremvica and assigned as vicar to the Bishop of Prespa and Pelagonia. In this position, and in addition to taking part in theological consultations, Bp. John led the effort for reconstruction of the Cathedral Church of St. Great Martyr Demetrius in Bitola. In March 2000, he was assigned as administrator of the Metropolitanate of Bregalnica. In November 2000, Bp. John was elected Bishop of Veles and Vardar Valley and enthroned on December 4, 2000. Leading the Holy Metropolitanate of Veles and Vardar Valley, on June 22, 2002, Metr. John responded to the summons for liturgical and canonical unity with the Patriarchate of Peć by the Patriarch of Serbia, Pavle. Together with all his clergy and faithful of his Metropolitanate, Metr. John was the only bishop of the schismatic Macedonian Orthodox Church who responded positively. A few days later, he was expelled from the seat of the Metropolitanate together with the monastic community living with him. This was done illegally and without a court warrant by the Police of the Republic of Macedonia. On September 23, 2002, Metr. John was appointed Exarch of all the territories of the Ohrid Archdiocese by the Assembly of the Serbian Orthodox Church. On December 25, 2003, he was elected Chairman of the Holy Synod of Bishops of the Orthodox Ohrid Archdiocese, after it had been constituted. On May 24, 2005, on the Feast of Ss. Cyril and Methodius, he was confirmed by his Holiness, the Archbishop of Peć, Metropolitan of Belgrade and Karlovci, and Patriarch of Serbia, Pavle, to be Archbishop of Ohrid and Metropolitan of Skopje in accordance with the Niš Agreement. On the same day, there was an announcement of the Patriarchal and the Assembly's Tomos for Autonomy of the Ohrid Archdiocese, with Metr. John as the Chairman of the Holy Synod of Bishops. Since joining the canonical orthodox church, the persecution began, initially with the illegal expelling from his residence. He is persecued by the state, FYRO Macedonia, was imprisoned several times, and Amnesty International declared him a prisoner of conscience. Also, he was not allowed to take communion in the prison, the priests who came with the Sacraments were not allowed to meet him. He was detained under custody many times by the authorities of the Republic of Macedonia. He was sentenced to a suspended punishment one year of imprisonment for the criminal offense of "performing unauthorized activities" because he had entered a church to baptize a female infant in 2004.
he officiated at a religious service in an apartment owned by his parents. He was imprisoned on July 26, 2005 and served 220 days in prison before the Constitutional court declared the last two of these three points to be unconstitutional and his sentence was shortened to 8 months. He was sentenced for the second time, on charges raised by the schismatic Macedonian Orthodox Church for "Embezzlement" of a donation of 57.000 Euro - money he never touched nor used and which was timely handed over to the court of first instance in Veles, in the first moment when this was requested by the donor, who later testified before the court that Archbishop Jovan is innocent. Based on the donor's testimony the Archbishop was twice liberated, and the third time, after a severe political pressure, he was sentenced to imprisonment. As a second defendant he was sentenced to a higher prison term (2 years) than the first defendant (who was sentenced 1 year and 3 months) in 2006. He was imprisoned on August 8, 2006 and served 256 days before being released. A third trial for "Embezzlement" is in process, also upon charges of the schismatic Macedonian Orthodox Church. He was already found not guilty on the charges twice, but the Court of Appeal has rejected these verdicts. The orthodox churches reacted upon the imprisonment of Archbishop Jovan and appealed for his release. 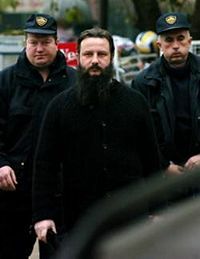 On February 2, 2015, in compliance with the ruling of the Skopje Court, Archbishop Jovan (Vraniskovski) of Ohrid, a hierarch of the Serbian Orthodox Church, was released from the Idrizovo prison. His situation and physical condition were considered at the fraternal meeting between His Holiness Patriarch Kirill of Moscow and All Russia and His Holiness Patriarch Irenaeus of Serbia on November 15, 2014, in Belgrade. On December 20, 2014, with the blessing of His Holiness Patriarch Kirill and His Holiness Patriarch Irenaeus, the chairman of the Moscow Patriarchate department for external church relations, Metropolitan Hilarion of Volokolamsk, visited Skopje and met with Archbishop Jovan. On the same day, Metropolitan Hilarion of Volokolamsk met in Skopje with the Republic of Macedonia’s state leaders – President G Ivanov and Prime Minister N. Gruevski. Metropolitan Hilarion also met with Archbishop Stephan, head of the Macedonian Orthodox Church, who is outside of communion with the world Orthodoxy at present. 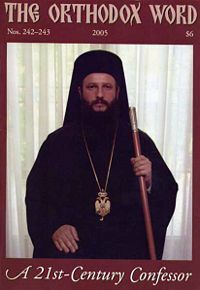 ↑ 1.0 1.1 1.2 ARCHBISHOP JOVAN (VRANISKOVSKY) OF OHRID RELEASED FROM PRISON. The Russian Orthodox Church Department for External Church Relations. 03.02.2015 12:11. The Holy Assembly of Bishops of the Serbian Orthodox Church. Serbian Orthodox Church expressed its protest and condemned the imprisonment of Archbishop Jovan. Belgrade, May 16th, 2012. (Romfea.gr). Assembly of Canonical Orthodox Bishops of North and Central America. Assembly of Bishops Condemns Imprisonment of Archbishop Jovan by FYROM and Asks for His Release. December 27, 2011, New York. This page was last edited on February 10, 2015, at 00:25.